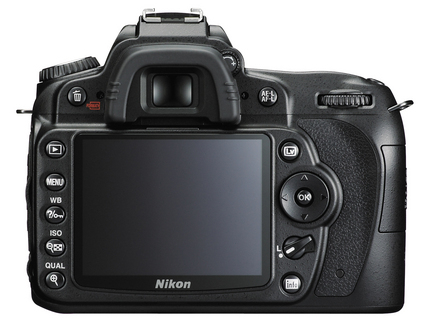 Nikon are doing their best to win the crown in the DSLR market and they may just have succeeded with the launch of their new model, the D90. 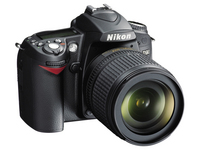 This builds on their success with the D80 and has many similar features. One of the main differences is the inclusion of a high quality movie camera function that takes 24 frames per second, and records in HD. Add to this 12.3 megapixels and their new CMOS sensor, and you have a pretty impressive package on your hands. They’ve included Live view, which mean you can use the eye-level pentaprism viewfinder rather than the digital screen, and you can play with the settings to create the perfect picture. They’ve packed in Scene Recognition, Active D-Lighting and high ISO settings, which means less fiddling around with modes and more time for snapping. The Active D-Lighting adjust contrasts between shadows and light in pics, so no one ends up in shadow, and you can even customize your images with the option of six picture modes, including fisheye and landscape. The D90 boats a 3 inch LCD screen, which can display up to 72 thumbnails at any time. You can create your own slideshows, utilise the in camera editing features and even geotag your image if you purchase the GPS receiver (out later this year). You can choose between three contrast detect AF modes: Face Priority, Wide Area and Normal Area, or opt for the advanced settings. This really isn’t a model for beginners, but if you’re looking to improve on your photography skills, this will definitely be going on your Christmas wishlist.